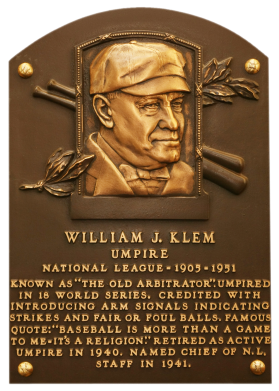 Baseball's best known umpire, Klem was active from 1905 to 1941. He revolutionized the position, and is credited with being the first to employ hand signals and don a chest protector. 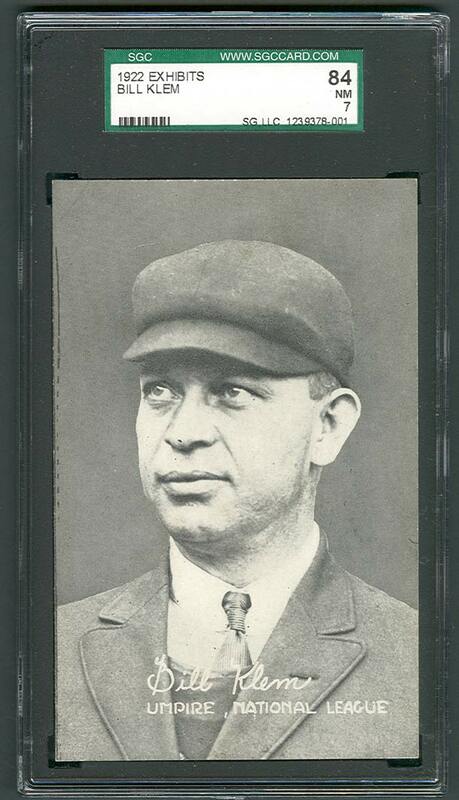 He worked a record 18 World Series, and he was the umpire at the first All-Star Game in 1933. 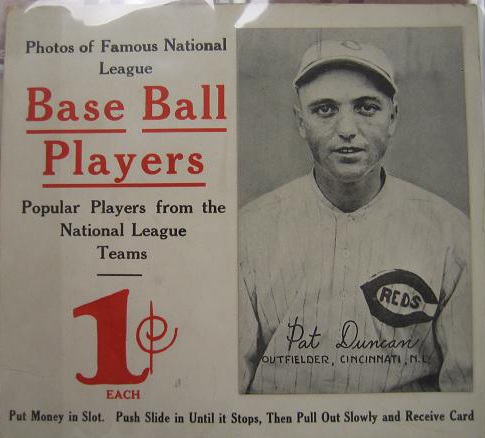 Comments: There's only a few cards to pick from for Bill Klem - including a 1950 Callahan tribute and this Exhibits card. I had a 1950 Callahan PSA 7 first in 2003, upgraded to a PSA 8 in 2004. 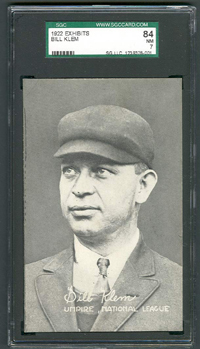 I wanted something contemporary to the umpire's career and purchased a couple raw 1922 Exhibit postcards in March/April, 2005. One of them graded EX by PSA, the other VG-EX. In June, 2007 I decided to bid high in a Bill Goodwin auction and ended up winning the highest graded example in existence. The SGC 86 postcard is very close to perfect for the issue. 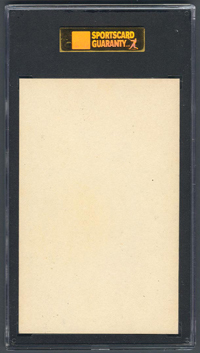 Description: The Exhibit Supply Company continued the same 3-3/8" X 5-3/8" format in 1922 but doubled the number of cards in the series to 128, including eight players from each team. All but nine of the players who appeared in the 1921 series are pictured in the 1922 set, along with 74 new players. The cards again display black and white photos with blank backs. Some of the photos have white borders. The player's name appears in a plain script with the position and team below in small capital letters. American League is designated as "A.L." Again, there are several spelling errors and incorrect player identifications.